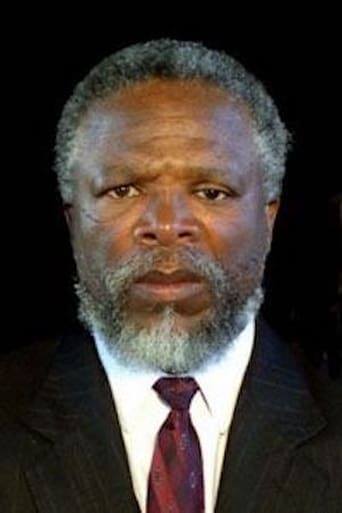 From Wikipedia, the free encyclopedia Winston Ntshona (born 6 October 1941) is a South African playwright and actor. Born in Port Elizabeth, Ntshona worked alongside fellow South African Athol Fugard on several occasions and played a minor role in Richard Attenborough's acclaimed film Gandhi. Ntshona also played deposed President Julius Limbani, the subject of a rescue attempt in The Wild Geese (1977). Limbani is based on Moise Tshombe. With Fugard and John Kani, Ntshona wrote the 1973 play The Island, in which he and Kani starred in a number of major international productions over the next thirty years. He and Kani were co-winners of the Tony Award for Best Actor in a Play for their performance in both The Island and Sizwe Banzi is Dead, which he also co-wrote. Description above from the Wikipedia article Winston Ntshona, licensed under CC-BY-SA, full list of contributors on Wikipedia.